• The Zelia is a compact urban stroller that enables metropolitan families to be ‘Ready for Today’. • It’s lightweight and stylish with a seat that converts into a bassinet in 2 simple steps. • Sleeping on the go has never been easier than now. • The Zelia will launch worldwide in November 2017. Dorel Juvenile, a segment of Dorel Industries (TSX: DII.B, DII.A), and the world’s largest juvenile products manufacturer in its categories, announces it is launching the Maxi-Cosi Zelia stroller, a modern and easy-to-use stroller for metropolitan families to be ‘Ready for Today’. The Zelia is compact, lightweight and stylish. The design and intuitive features are perfect for today’s young parents who don’t like to feel limited and want to be free to go wherever they want, whenever they want. A reversible seat gives parents more flexibility in deciding how they want to transport their babies on a given day. Maxi-Cosi’s padded inlay and high-end fabrics make sure the baby is super comfortable at all times, so parents don’t need to worry. The spacious shopping basket gives parents the room to store all of their personal items or shopping goods while on the move. The Zelia is compatible with any Maxi-Cosi baby car seat, allowing parents to easily decide which Maxi-Cosi car seat they’d like to use with the Maxi-Cosi Zelia stroller. As is the case with all Maxi-Cosi products, the Zelia is designed to carry the future happily into life. The Maxi-Cosi trusted brand and products were born in 1984. Since then, Maxi-Cosi has carried 50 million babies home from the hospital. 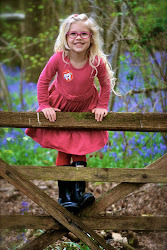 To learn more about Maxi-Cosi’s products, please visit: maxi-cosi.com. 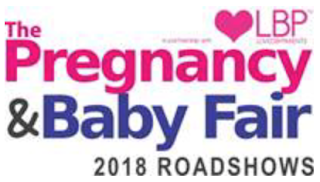 NEW for 2018 come The Pregnancy & Baby Fair Roadshows, an exciting brand new concept bringing baby essentials to a venue near you! Popping up around the country in their state of the art specialised dome venue, The Pregnancy & Baby Fair 2018 Roadshow will travel around the UK throughout 2018 with ‘smart’ wristband technology for a shopping experience with a difference for parents and parents to be. · A state of the art shopping ‘dome’ experience. 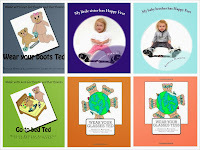 · Themed shopping sections covering all pregnancy and parenting needs including prams/pushchairs, car seat, carries, nursery furniture, weaning and feeding and clothing and accessories. · Post-Show home delivery direct from the brands. · Beautiful local venues, with easy access and free parking. · An affordable ticket price of £12.95 with 25p of every ticket sold going to the nominated charity partner which is Kicks Count. 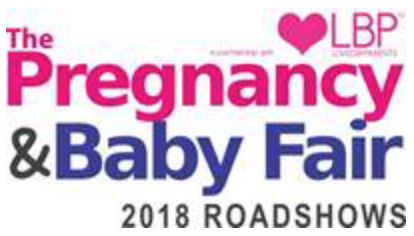 With an estimated 5,000+ visitors attending each event in their first year, The Pregnancy & Baby Fair Roadshow is sponsored by go-to parenting website LovedByParents and are set to be a massive hit with new and perspective parents alike. To find our more head to the website at www.thepregnancyandbabyfair.co.uk. Lime Crime cruelty-free make up - The make up we have all been waiting for. Fans have been eagerly awaiting the release of it, and Lime Crime has finally done it with their new palette. As fans have been expecting, the Venus 3 has finally been released to the public. In general, the Venus palette series has been wildly popular and captured the hearts of every fan around. You have a wide range of unexpected colors. For example, the gigantic Venus XL costs $56, and it has especially become a treat with the 18 pans. That's unusually welcome compared to normally getting just eight. With the Venus 3, the company has returned to the eight pans, but fans are going wild over the color scheme. Originally, the brand teased a mysterious plastic packaging, which is something new that they said would be coming April 24th. It's what the brand wrote on their Instagram account. Next, Lime Crime posted this image of the entire package, but they dropped it with a darkened silhouette. You can now get a real peek of this palette. A welcome return of the signature muse from Botticelli's Birth of Venus painting has returned in the latest package. It gets delivered with some of the rosiest and loveliest pigments imaginable. You have a full stream of some of the most anticipated eyeshadows which will all make their debut with the Venus 3. 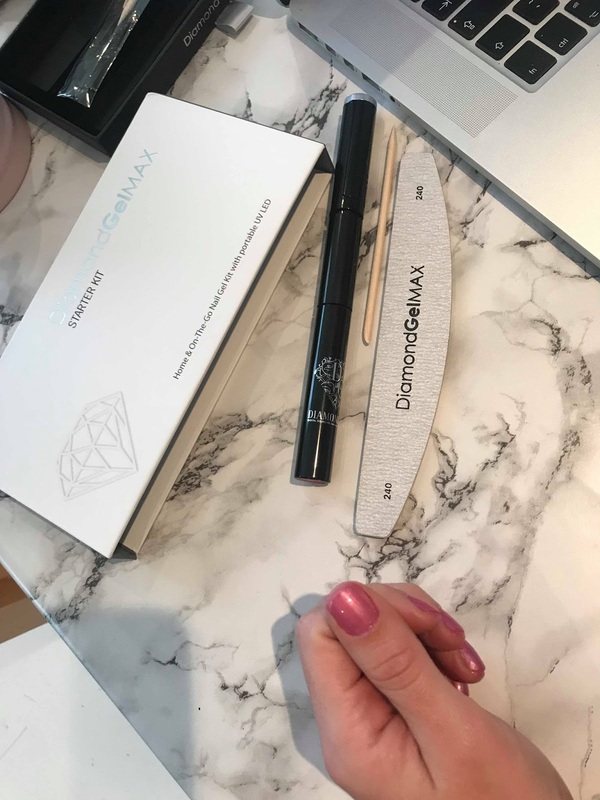 For example, pink lovers will find this as the product for them because the company has made good on their promises to keep away from the one-note neutrals. This spring will deliver some astounding color. The palette pricing has had no official word, but rumor has it the price will be the same as the Venus 1 and the Venus 2 palettes, which was $38. For anyone looking to throw a pink party, it doesn't get much better than the products from this company. Whether you're going for the nu-grunge look or you want a soft and painterly finish, you can do it with this company. There's nothing quite like the fun of trying to guess when it might release. This company was previously a legend with its eyeshadow palettes. Everything has been a hit, and it remains both a versatile and a vibrant formula that looks super silky. The company continues to spoil its fans with awesome new releases this year that have seen a wild approval. Lime Crime has always remained ahead of the makeup trends, and their selection remains some of the most unique and colorfully diverse on the market today. The pink colors look great in performance. Whether you want a taupe look, pink look or a violet look, you have everything available that will allow for you to do it. This brand has always been popular because of how it brings something new to the table. A dull and drab corporate space can never attract new customers and further fail to retain the existing customers. The most effective way to boost up any corporate space is to opt for landscaping because everyone feels cozy and comfy while near to nature. But corporate office decor is not easy. On the contrary, it has to be perfect and have minimum maintenance requirements. Using live plants has many hassles and, for this reason, the artificial trees and plants have replaced their live cousins for decorating the corporate interiors and exteriors as well. A large number of business owners, architects, and interior designers are favoring the faux landscaping items for landscaping commercial indoors. These are absolutely lifelike and can make even a trained eye to believe those as real. Maybe, you are considering decorating your business place; better use faux landscaping products for delighting your customers. · Trees: Available in many varieties like tropical trees, bonsai trees, flowering trees etc these are great to fill the void in the commercial interiors. With their stunning presence, they can make your business interior quite alluring. · Plants: Available as succulents, fall plants, grass, bushes, these are great for making a business indoor cozy and comfortable. With their lush green appearance and unique texture, the fake plants can bring in charm and tranquility in any commercial indoor. · Topiaries: These artful green sculpture has the capacity to give any corporate indoor a celestial ambiance. Available in many shapes like boxwoods, ball, cones, spirals, pyramids etc the topiary define elements can make business indoors visually appealing. · Flowers: When you wish to have relaxed customers with positive vibe, fake flowers have unmatched quality for meeting your landscaping needs. With their bright and glam appearance, they can freshen up your business indoors most effectively. · Planters & Containers: With their simple form, vibrant colors and unique styles, these are the hot favorites for the interior landscape designers for impressing visitors. The urban corporate spaces are concrete jungles. These dull places can never impress a visitor. By including topiaries artificial and other fake landscaping products you can have a heavenly indoor that your visitors will remember for long. With their lush green leaves the replicated botanical products can make indoors calm, quite and refreshing. The artificial trees and plants can be used for any commercial setting. The best thing about the indoor tropical trees and plants is that these may be used in any corporate indoors. Made from the best quality of foliage and high-grade color pigments, and backed by the profound knowledge and experience of a team containing botanists, engineers, project coordinators, the fake plants and artificial tropical trees and other landscaping elements are made botanically correct in all respects. With their stunningly natural lush green look these are great for revamping any commercial indoor. Unlike their live counterparts, the artificial trees and plants need no soil preparation, no regular watering, no fertilization, no trimming, etc. These are free from maintenance hassles, and only require dusting to keep them shining for long. Not all commercial indoors are equal. There may be varied landscaping preferences and space constraints. To make the replicated botanical items suitable for every landscaping needs customization is also possible. Just spell out the needs, and you will be supplied with tailored trees and plants to adorn your commercial indoors. The artificial trees and plants are available in standard pots. Unlike the live plants, these do not require any sunlight. So, you can place them anywhere including the low light areas and even in underground commercial indoors. They will continue to add charm to the place. All live trees and plants shade leaves, and hence the place around them is always messed up; making cleaning an issue. When you use the fake decorative plants for your commercial indoors, you need not worry about littering the space. Maybe, there are large windows in you commercial place that allow plenty of sunlight. If the lush green indoor decor loses their luster after a few months, all your time, money and effort are wasted. For avoiding such nauseating results, these fake plants and other landscaping elements are made fade resistant following the innovative PermaLeaf technology. Particular UV resistance chemicals are added during manufacturing to keep you free from such worries. Safety is the most important concern while landscaping the corporate indoors. No matter, how amazingly beautiful the landscaping products are, they are unsuitable for commercial indoors if those are not fire-safe. These artificial trees and plants are manufactured following ThermaLeaf technologies by impregnating special fire retardant chemical to the foliage during the manufacturing process. Being in line with state fire laws, these are absolutely safe and legal for commercial indoors. The live trees and plants are always season specific. When you install a natural flowering plant in your commercial indoor, you will see the bloom in specific season only. With the mimic landscaping products, you do not have any such worry. Once you include a blooming flowering plant in your professional space, it will be there blooming all around the year. Impressing the visitors is essential for all corporate settings. With their stunning beauty, the artificial trees and plants can deliver the most captivating indoor landscaping. How can you help your kid have more organised and tidy room? We are here to walk you through a couple of tips and strategies to get rid of clutter and bring sparkle to your kids’ rooms. Easy and efficiently. Have you ever thought that kids look at things a little bit differently than us, the adults? Try to look at their room from their point of view. Focus on belongings, furniture, free and occupied space. Surprising, right? At young age they haven’t developed their maintenance skills and are not able to distinguish tidy from messy. You can change that. The organising system which the adults use is not compatible with the one we can use in a kid’s room. There are many examples which can prove it- starting with the ordinary hangers which cannot fit small sizes of clothes moving on the closet door which can pinch your kid’s little fingers. So when we organise our child’s room, we should do it in a way which will go perfectly on our child. First things first. Are you the only one who does the domestic chores? Who has to run the household alone? There is no more need to be like this. Why do not you involve your kids into the cleaning process? Do not get into the mess and clutter on your own. You will find it very beneficial your kids to improve their organisation skills and to help you with future maintenance as well, not only with cleaning their own room but with the whole property as well. You can prepare a task list with cleaning duties which they will follow. You can encourage them in the end with a treat or permission to stay up till later. You know that kids love it! A kids’ room is usually not too big so it will not take you that much time to deep clean better and organise it. There are few simple solutions you can benefit from to keep everything under control. Start with emptying all wardrobes, drawers and closet. When you remove everything, clean the spaces. Then it is time to take care of the clothes- sort them accordingly. For example, put all the clothes, which are out of season or just do not fit the kid any more, in a box or a bag and store it under the bed or in the closet. Remove all the clothes which your kid does not wear any more so the wardrobe will be better organised and tidy. It is impossible to imagine a floor in a kid’s room without all the piled up toys. In case you are wondering what to do to bring some order, provide yourself with a storage container or just a plastic bag where you will put all the over-abundant toys. You can even use shoe boxes or just an ordinary cardboard box where to put smaller items like cars, tiny dolls and their clothes, etc. 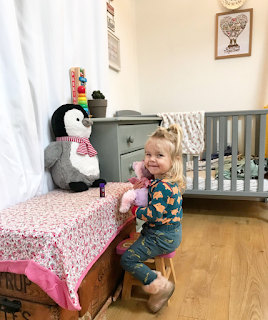 However, no matter how often you clean and organise your child’s room, after a single play and immediately the room will be back to its messy and cluttered condition. You can help children take better care of their rooms by simply introducing them to a new system. Try to make them straighten the comforter, make beds and get clothing directly to the laundry basket. All these duties can be performed in the mornings. Do not worry, there will be some duties for the evening sessions as well- put away all toys back to their place (the already mentioned storage containers) and put dirty dishes and glasses into the dishwasher. Try these simple tricks can make your life easier! 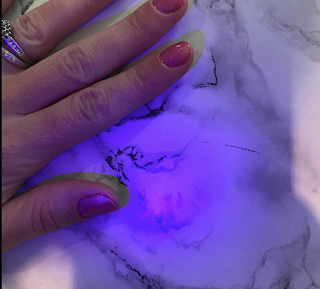 The world’s first Portable One Step Nail Gel and Cure Lamp – all in one! To be able to get your nails done anywhere? anytime? without rushing to a salon or waiting to be seen. Never visit a nail salon ever again!! 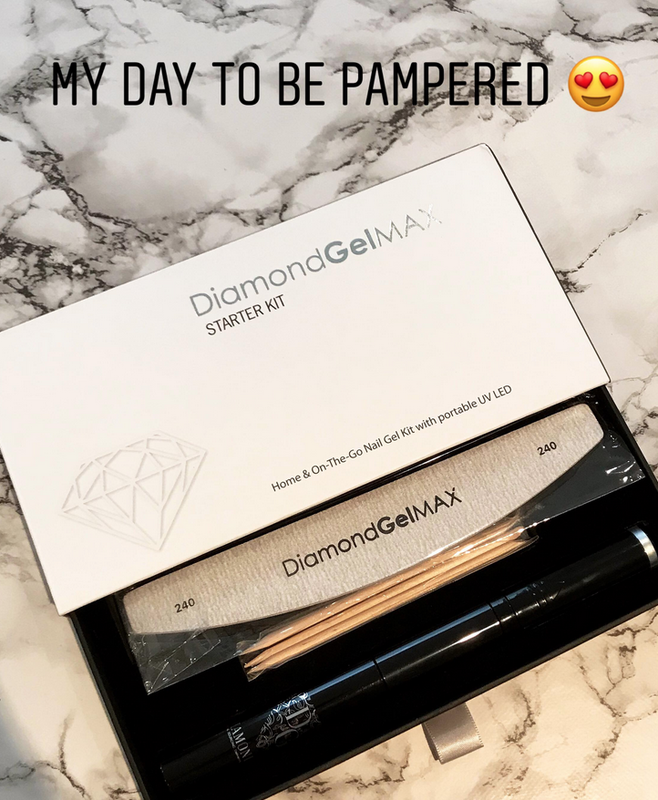 The Diamond Gel Max home & on the go Gel kit with portable UV LED light. Last for minimum 4 full weeks! Easy to carry in your handbag! Simple and quick to apply! I am that girl who always has my nails done. Not always Gels but I do paint them every week. With normal varnish it lasts what, a day if i'm lucky? Also I'm busy I literally don't know how I'd fit in getting my nails done. 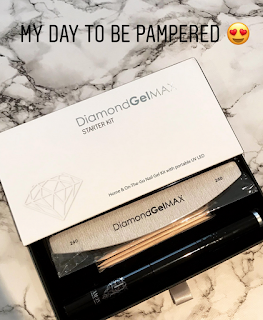 This is where the Diamond gel max nail kit is the perfect solution. I got home from the school run, tidied the house, put the baby down for her nap. and sat with a coffee and done my nails. Without any stress. I adore them, can't stop looking at them. Instructions are super easy to follow. 1) Remove the UV Pen from the cap of the Gel Pen. 2) Clean the surface, ensuring they are smooth/ridge free & dry. 3) File & shape the nail as required. 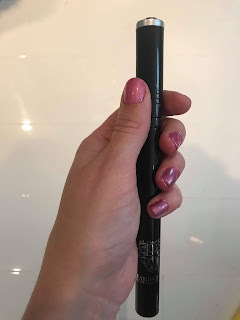 4) Apply a thin layer of gel, working up to but not over the cuticle. 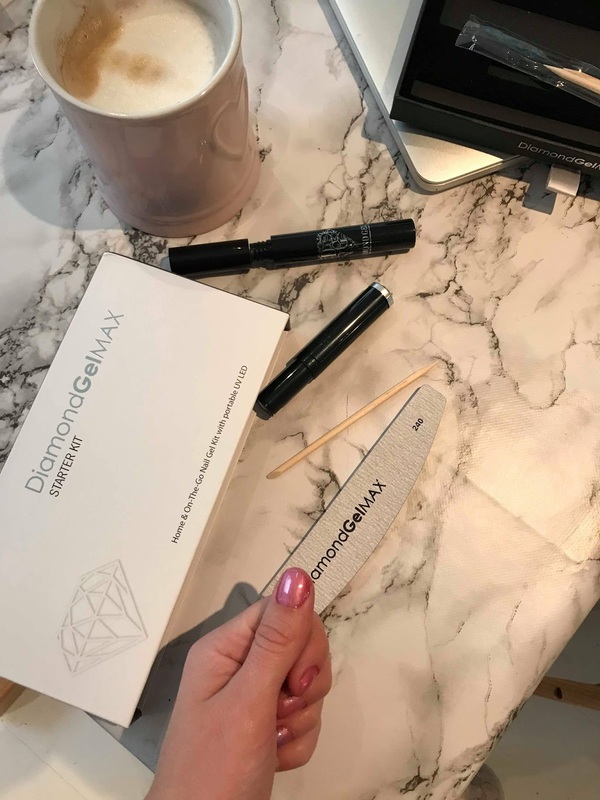 5) Switch on the UV light pen, holding above the nail 3mm to 5mm, cure one nail at a time for between 40-60 seconds per nail. Curing time depends on the thickness of each application, amient temperature & humidity amongst other factors. 6) Repeat the above until all fingers are gelled to perfection. 7) Once the nails have been fully cured a second coat can be applied if required. Repeat the steps 4,5 & 6 above. I can't stress enough just how much I love this product. I picked Princess Pink. But they have three colours to try at the moment. for £49.95 It's a no brainer. Great price and brilliant product. Don’t miss out on the chance to show your loved one that you have gone the extra mile with help from Vintage Playing Cards this Valentines. On the 9th February from 12pm-6pm there will be a Vintage Playing Cards promotion in the Stationery area, in which there is the opportunity to get personalised Valentines cards put together right in front of your eyes. Choose from two designs, both of which are handmade and feature original vintage playing cards. Vintage Playing Cards selection of Valentines gifts and cards are the perfect way to show how much you personally care for that very special person. 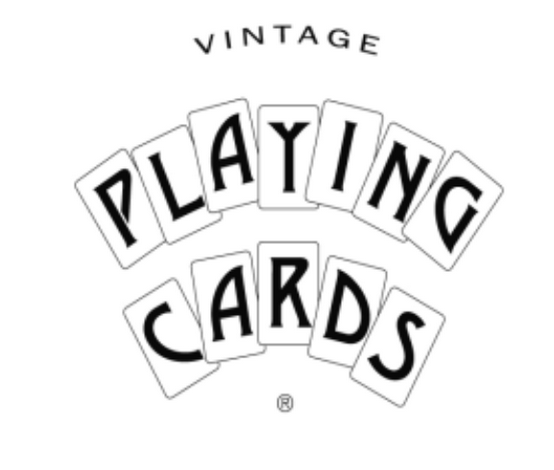 Vintage Playing Cards specialises in hand-made greeting cards, frames, clocks and gifts made from individually sourced original vintage games including playing cards, and 1920's parlour games. Perfect for the design savvy the stunning selection of gifts includes personalised letter frames that can spell something that is unique to your loved one, creating a thoughtful handmade and very special Valentines gift. All Vintage Playing Cards’ products are handmade in their studio in Suffolk. The Vintage Playing Cards range of letter frames contain individual cards sourced from a 1930’s spelling game which are put together to spell out romantic expressions. The letter frames have been hand crafted to create beautifully stylish Valentine gifts with phrases from the big screen and iconic love songs including LOVE ACTUALLY, PS I LOVE YOU or IT STARTED WITH A KISS. For the ultimate in romantic gestures you can spell out the name of the person who has your heart or a certain phrase that brings you together. The cards are then double-mounted with cream, black and grey, into a stylish wood box frame. Vintage Playing Cards also gave a range of international love frames including TI AMO, JE TAIME and CARIAD. The sweetheart frames spell out the sweetest phrases including YOU AND ME, KISS and I LOVE YOU. However, who says you need to have a significant other to treat you on Valentine’s Day? Treat yourself because you deserve it. Vintage Playing Cards also cater for those who haven’t had the best of luck in the dating departing, may be spending their first Valentine’s Day alone or for those who are just happy being independent and loving themselves. Vintage Playing Cards singleton letter frames includes IT TURNS OUT HE WAS FIFTY SHADES OF GAY or YOUNG WILD AND FREE. Receiving a card from that very special person on Valentine’s Day through the post is one of life’s pleasures. But receiving an original piece of art makes it even more special. You can choose from a wide range of beautiful handmade cards featuring the backs of playing cards from the 1920’s through to the 1970’s showing different romantic scenes. Alternatively, you can pick the iconic glitter ace of heart card for a classic stylish Valentine’s Day card. Baby Box University is proud to announce its partnership with Highways England, through embedding a video on the importance of car safety within all of the Baby Box University NHS syllabi in the UK. Highways England is the government company charged with operating, maintaining and improving England’s 4300 miles of motorways and major A roads. Their ambition is to ensure our major roads are more dependable, durable and most importantly – safe. Highways England has produced a specific instructional film to inform expectant parents of what vehicle checks they should undertake before they use it to transport their family. 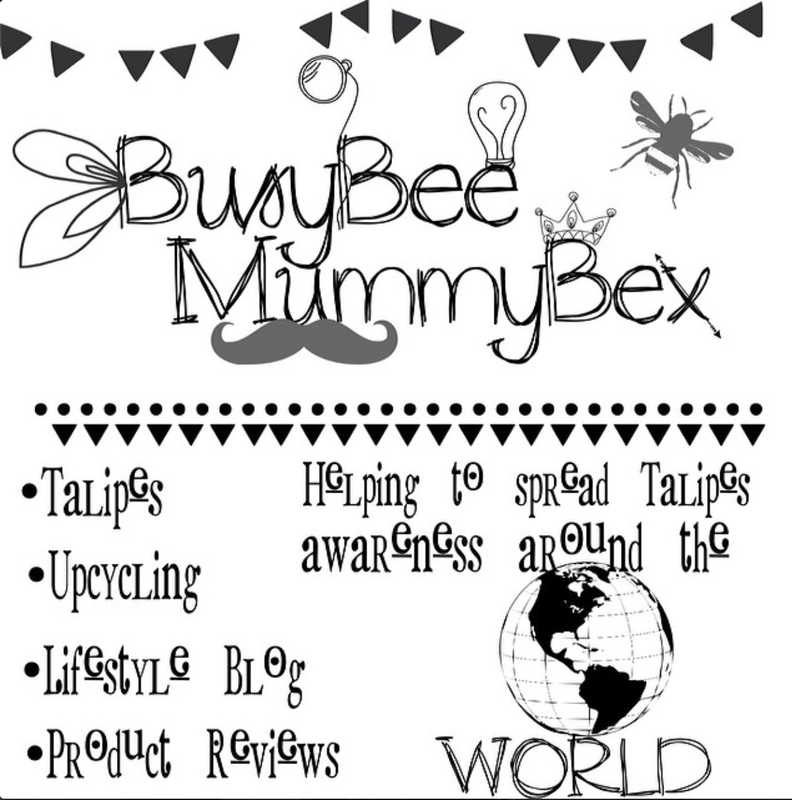 This film has now been included within the comprehensive maternal and childcare education platform www.babyboxuniversity.com which, working with the NHS across England, encourages expectant parents early engagement with maternity services. Upon completion of their local education syllabus parents receive a certificate that can be redeemed for their free Baby Box. 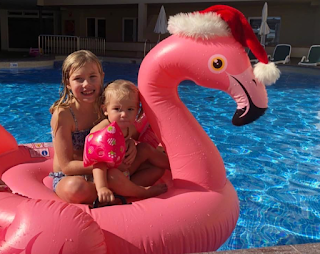 Christmas in the sunshine – We booked the WRONG hotel! 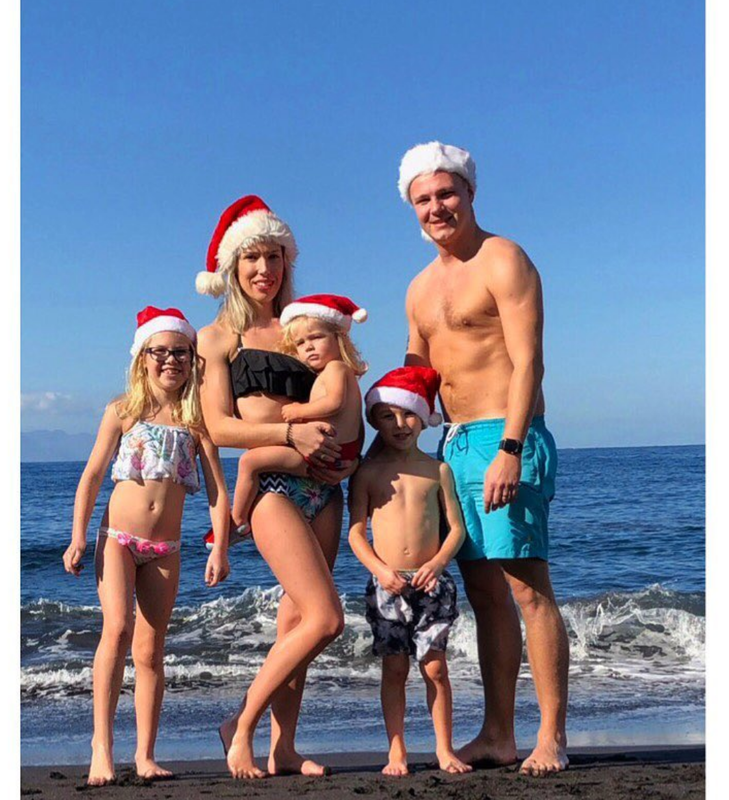 Only we would go away for Christmas with majority of our family and end up arriving in the completely wrong hotel the other side of the island…. It sounds like something out of Home Alone. We couldn’t make it all up, even if we tried. We luckily had a pretty uneventful plane journey, the smalls behaved well apart from H repeatedly asking his Daddy “if the plane was going to crash and would we die?” Shhh H ssshhhhhhhh H! Oh and Mr. H apparently lost us all for half an hour at Gatwick airport… he didn’t of course, he decided to buy Baileys but needed my phone with our boarding cards on, can we just discuss why we need to show boarding cards at the airport to buy things? We’ve all got through security ?!?! Any who the smalls were literally running rings around me so I decided to pop my head and body into Cath Kidston ( Favourite shop! ) however I left the older two smalls and our buggy and bags outside the shop so Mr.H could see where we were. He didn’t. He thought we had done a runner *As I would with three small toads in toe. He almost contacted security…. ALMOST. I’m pretty sure we were missing for less than 10 mins MAX! 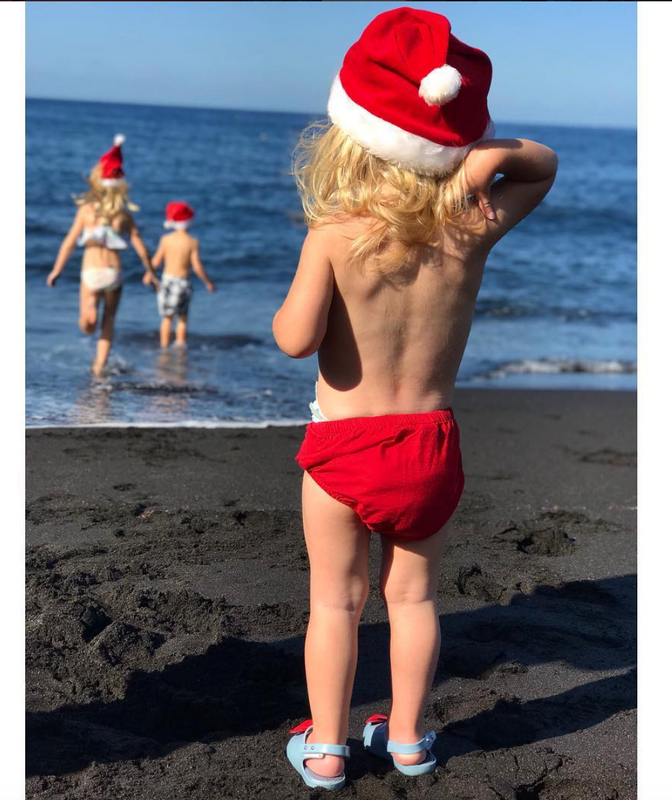 Once we had landed on the beautiful island of Tenerife, the smalls were pretty over excited and it was getting late (for them and me!) we had ages to wait for our baggage and buggy, the next step was getting our hire car. Something we do a lot, most of our holidays abroad we hire a car to give us that extra bit of freedom, to explore the country. I mean we love a beach day and lazing around the pool… but on a serious note with three smalls us adults don’t get much relaxing, do we? It’s so easy to get in the car and explore. We started queing at the kiosk. Two couples in front of us. I thought easy this wont take long. WRONG! About 15 minutes or so into standing around the lady told us we had to go around to the other side, as this kiosk was shutting. With three or four families behind us, we had no hope getting our car anytime soon. In fact it took about 2 infuriating hours to finally get our keys. 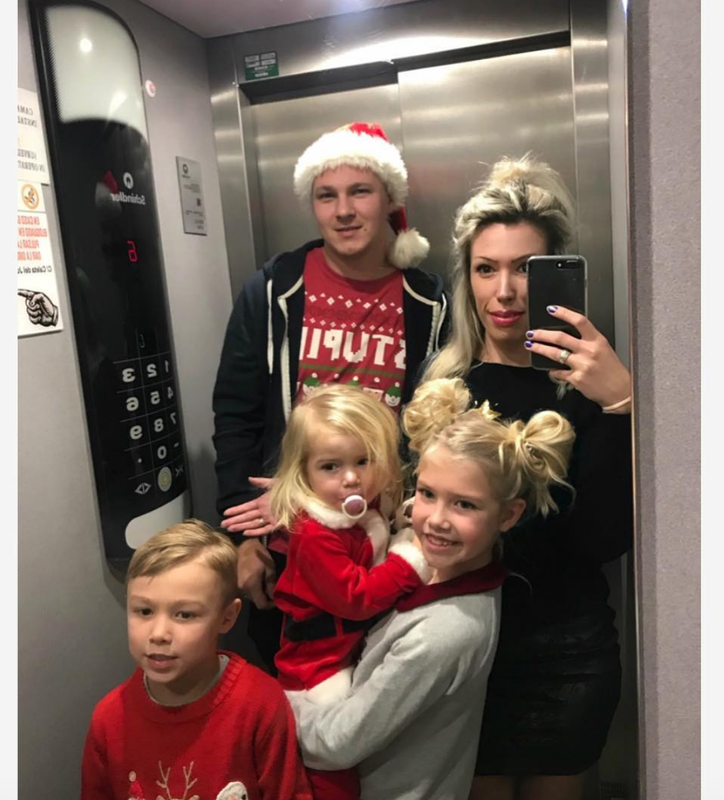 Meanwhile the smalls had been dancing, playing cars, doing racing between us and a Christmas tree the other end of the airport…. I was ready to lose my mind. Keys handed to us, time to find the car. Felt like another two hours later and car found. The car was in awful bodywork condition. We couldn’t believe it. The bonnet was so damaged the open bonnet sign was on. Mr.H ran back to the Hire car kiosk to make sure they are aware of the damage, she assured us we were in fact covered for any damage and the car is safe to drive…. Blah blah blah. Smalls in the car we had an hour and a half to drive to the hotel. Cheeky stop off at Mc Donalds as we all were starting to get Hangry! Arrived at the Hotel we thought everyone else was staying at, It was 10:30pm, traveling all day we were totally ready for bed. I left the door a jar for my sister inlaw, she couldn’t be far away…. How big is this hotel? She rang back telling me that she was knocking on the door!. Oh god. Is there other buildings? Mr.H asked her to go to Reception and stand by the Christmas tree. Yep she was, but so was Mr.H! He asked the lovely Receptionist if there was any other buildings or another reception? Nope. Was the response. Oh my god! Where are we? They put find my iphone app on. Sister inlaw OH MY GOD You're over an HOUR and a half away! WHAT!? We had booked the Hotel on the north side of the island. EVERYBODY else had booked the same hotel chain but on the correct south side of the island. We all love a Flamingo! I honestly felt like we had been in some kind of sick prank! What were the chances? It’s absolutely ridiculous. This was meant to be a relatively stress free Christmas away. Spending quality time with the family without a huge commute. However we are a positive family. We will make this work. The following day we set off in the car… through the scariest mountains, remember we were also in a car that felt like it may fall apart at any moment. The journey was like a rally track with no road crash panels and steep drops with tarmac falling away from the road, smalls in the back singing to ‘cause baby you're a FIREWORK!’ whilst Mr.H is concentrating trying to stay on the road. It took over an hour and a half. I clung on to the door handles with my life. Sounds crazy dramatic now but at the time I was in a blur of stress, sleep deprivation and worry. We spent the morning at beach and met up with everyone at their hotel afterwards. We managed to get a lovely apartment from bookings.com next to everyone's hotel, It was so nice to go out for a meal with everbody and not have to drive the 2 hours back to our original hotel. Christmas day was fantastic and the children behaved beautifully. 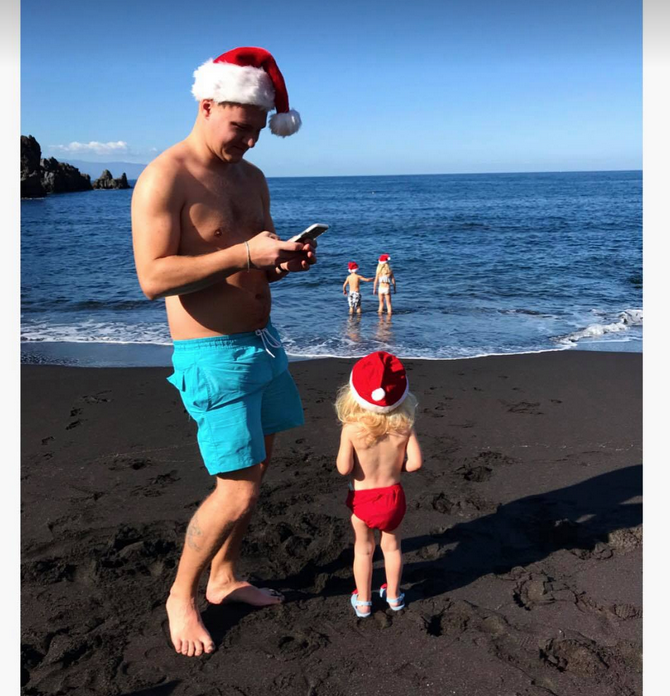 I would definitely spend Christmas away again. 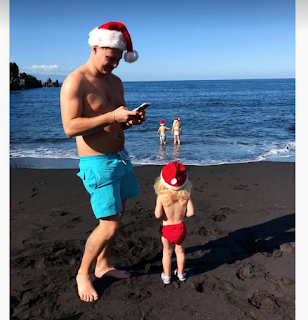 The children had a few presents but the main thing that excited them was spending time with family, isn't that what Christmas is all about? 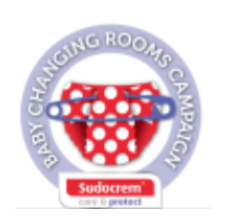 Five years after launching the first Baby Changing Room Awards and sponsoring the National Childbirth Trust Baby Change App, Britain’s leading nappy cream brand Sudocrem is once again pioneering the way with a new category to recognise the importance of Changing Places toilets for disabled children. There are 800,000 disabled children in the UK but only 1058 Changing Places toilets to meet their needs. This means that parents like Laura Rutherford, whose son Brody, 5, suffers from GDD, epilepsy, hypermobility and hypotonia, is forced to change her son on a toilet floor. 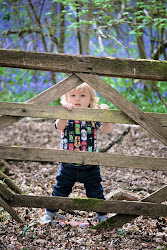 “Life beyond a baby changing table when your child is doubly incontinent means constant exclusions when you go out as a family. It’s heart breaking for us as parents and this is an issue that will sadly become harder and harder as he grows up. He is different not less. Time for change." Since 2012, Sudocrem has campaigned for change with an award scheme to recognise the importance of good nappy changing facilities. 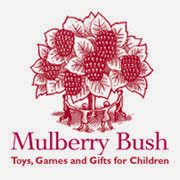 Past winners have included Mothercare, John Lewis, Sainsbury’s and the National Museums of Scotland. 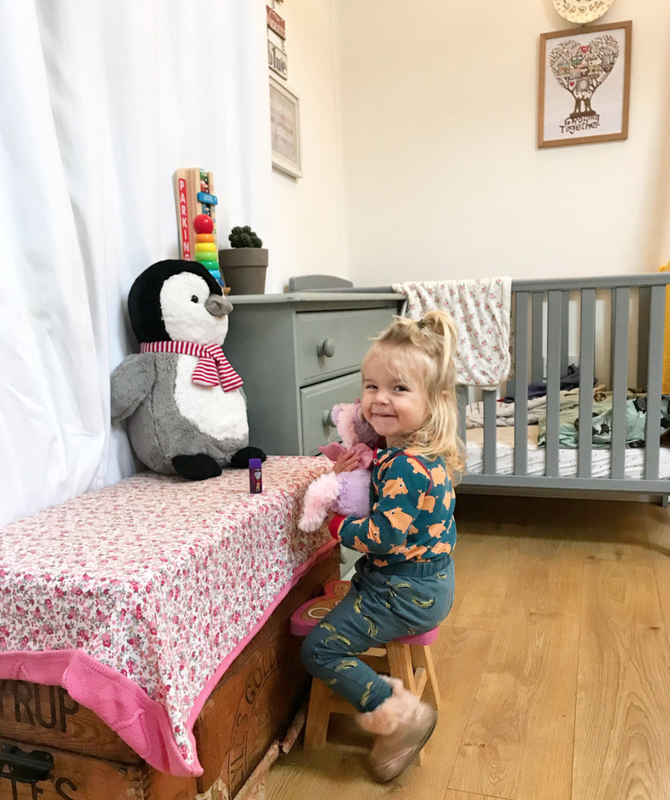 Jenny Miller CEO of PAMIS explains, “We are thrilled that Sudocrem have recognized the needs of children with complex needs as they grow too large for baby changing facilities. Children and young people who require these facilities are often prevented from taking part in their communities by the simple things that we take for granted. In 2007 we cofounded the Changing Places Consortium and campaign to develop accessible facilities for the most disabled people in the UK. The Sudocrem award scheme is a great idea and we’re confident it’s going to make a big difference! why you want to nominate it and preferably include a photo on Facebook via the Sudocrem website www.sudocrem.co.uk/social-hub or by emailing competitions@satellitepr.com. Entries will be judged by the NCT, PAMIS and Sudocrem. The closing date for entries is 31st January 2018 and the winners will be announced by the 9th March 2018. The winning facilities will receive an engraved plaque. Everyone who nominates their favourite facilities will also be entered in to a prize draw for the chance to win a short break at a family friendly hotel.